A collection of high resolution panoramic images photographed from around Scotland. A panoramic image of the River Clyde just after Sunset. 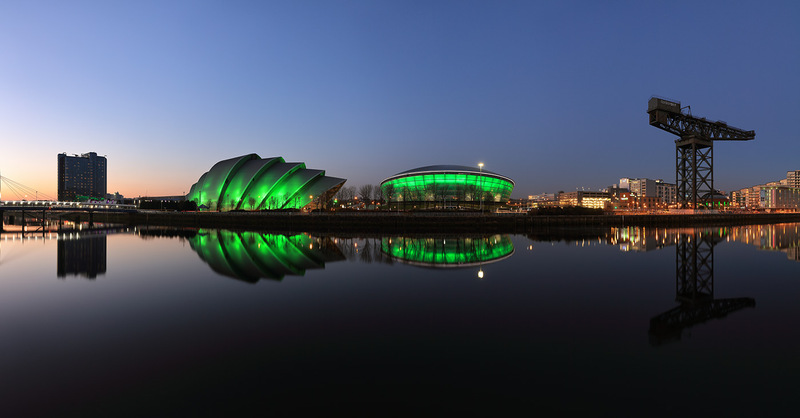 From left to right: The Clyde auditorium, Hydro Arena, Finnieston crane and the Clyde arc bridge.